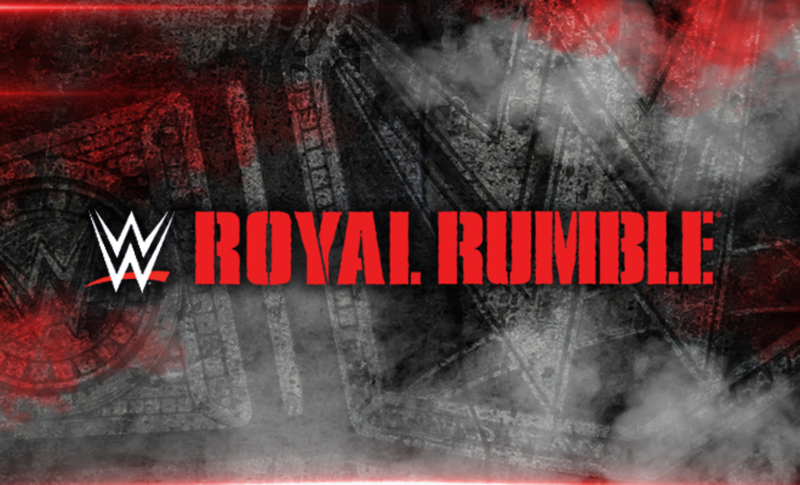 The 2016 WWE road to Wrestlemania begins in Orlando, Florida, where 30 men will enter the Royal Rumble match to determine the WWE World Champion! For the first time ever the WWE World Champion, Roman Reigns, will be in the match, and be forced to defend his title against 29 other participants. Roman must be the last man remaining in the ring in order to go into Dallas, Texas at Wrestlemania 32 as the champion. The only other time something similar to this happened was at the 1992 Royal Rumble. In December 1991, the WWF title had been vacated, so it was declared that the winner of the Royal Rumble match would become the WWF Champion. Ric Flair won the Rumble that night, and he will be in attendance tonight as his daughter Charlotte looks to defend the WWE Divas championship. Could we see Flair enter the Rumble and win it again? No, but that doesn't mean it won't be a tremendous night of action. We will also see a "Last Man Standing" match between Dean Ambrose (c) vs. Kevin Owens for the Intercontinental Championship. The match will only end once one competitor is unable to meet the 10 second count. Between this match and the Rumble, get ready for a whole lot of fan-count-alongs. We are looking for your thoughts on the event, so send a thumbs up, thumbs down or thumbs in the middle along with a best and worst match to Dave Meltzer. Henry & Swagger won the match to advance. The Dudleys did the 3-D on Viktor, but Swagger broke up the pin and put Bubba in the ankle lock. Henry then splashed Bubba and paused, and instead covered Viktor for the win. Nothing much to the match. Super match ending with Ambrose winning. Owens had destroyed him for a few minutes including a super falcon arrow off the top rope through a table. Owens put him on four chairs and went to the top rope to splash Ambrose, but Ambrose got up and shoved Owens off the top through two tables stacked up on the floor. Lots of highlights including Ambrose getting up from the power bomb and Owens surviving the Dirty Deeds, as well as Ambrose coming off the top rope with an elbow to the floor, putting Owens through a table. Good match with a hot finishing sequence. Jey sueprkicked Koingston but didn't see that Big E had tagged in. Jey came off the top rope but E caught him with a big ending for the pin. Xavier Woods debuted a new trombone called Franseca II. Good stuff including E tackling Jimmy to the floor, and Jey doing a splash off the top rope but Kingston got his foot on the rope. So far the odds are 100% as Kalisto won the title. For the finish Del Rio undid the padding on a turnbuckkle. Kalisto gave him a mistimed huracanrana and Del Rio went headfirst into the exposed metal and used the Salida del Sol and got the pin. Kalisto had used the Salida del Sol on Del Rio earlier but Del Rio got his hand on the ropes. This came after a missed double foot stomp by Del Rio. Stephanie agreed to renegotiate Brock Lesnar's contract if he took out Roman Reigns tonight in an interview segment with Paul Heyman. This was easily the most heated women's title match on a WWE PPV in a long time. Crowd really wanted Lynch to win. Real good match. Lynch had the match won with the disarmer but Ric Flair threw his sports jacket over her head. She let go of the move to go after Ric. This allowed Charlotte to poke Lynch in the eye (which they were out of position to catch) and spear her for the pin. Lynch had survived the spear earlier. Funny spot with Ric kissing Lynch to set up a Charlotte advantage. Sasha Banks is out to set up the next title match, but she kicked Lynch out of the ring after the match. Very clearly they are building this as the Mania feud. Crowd was way behind Banks. But then they acted like they were best friends. Then Banks laid her out from behind with the back stabber and Bank statement and Charlotte tapped. Huge reaction to Banks as she held up the belt. Going into the Rumble this has been a really good show. The crowd is booing Reigng to start. Rusev is out with Lana as No. 2. We'll be back at certain points. HHH won the match throwing out Dean Ambrose after he also threw out Roman Reigns. So the show ended iwth HHH, Stephanie and Vince celebrating. The match itself was great, one of the best Rumbles ever. Not really much in the way of suprises, only A.J. Styles and Sami Zayn. Reigns stared, was destroyed by the League of Nations and taken to the back. He came back near the end and started eliminating people. They put over The Wyatts a lot, particularly Braun Strowman, who along with Brock Lesnar were made the Monsters. Lesnar dumped the entire Wyatt family except Bray. Bray came out next and the rest of the Family interfered and they all through out Lesnar. Styles got a big reaction, among the biggest of anyone and came in third and lasted a long time. *The attack on Reigns was at just over 20:00 in, with Vince out with the League of Nations to destroy him with Rusev splashing him through a table and he was put on a stretcher. He got off the stretcher and went to the back, coming back jner thje end. *R-Truth came out, thought it was a ladder match, climbed the ladder, no belt and then he was thrown out by Kane. *Kevin Owens eliminated Styles and the fans booed that more than any elimination. Styles may have been the most popular guy of all in the match.